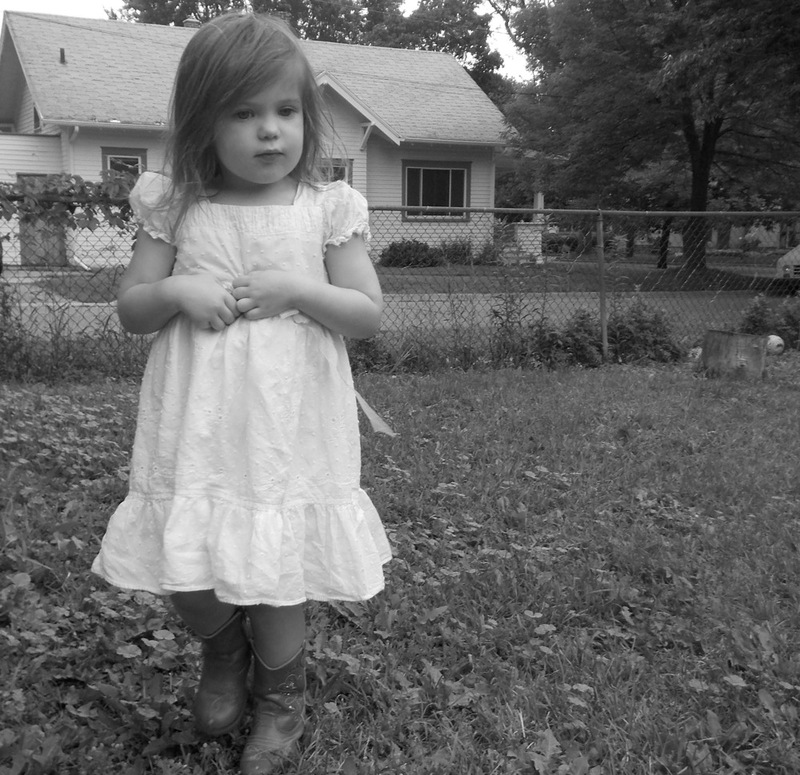 I created this page and wrote the words behind below shortly after we received Mae's diagnosis. For more recent posts about our journey click on the Autism tab! It's been a whirlwind adventure these past months and that's where we've been keeping track of our journey. As I begin to type here I am acutely aware of how little I know about anything at the moment... about autism, about the future... because I'm no kind of an expert on this topic. But writing is what I do when it feels like the weight of the entire world is weighing on my mind and so here I am, writing down thoughts that may or may not be worth reading. I guess the beginning is as good a place as any to start. 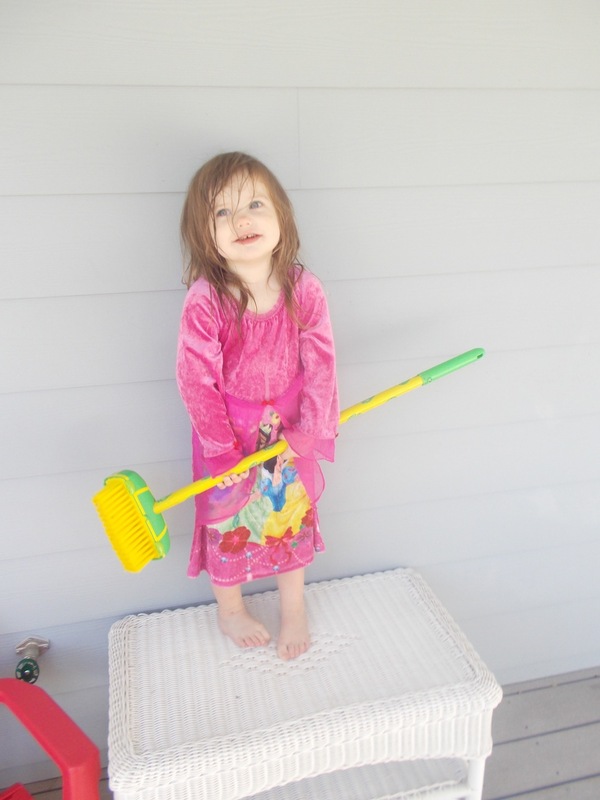 Earlier this year a friend sent me an email suggesting that Mae might have sensory processing disorder. I consulted Dr. Google, did a few searches, found some checklists and thought: "Huh. She has a point." Maggie met 100% of the criteria given for "sensory seeking" children and so I ordered three books on sensory processing disorder and started reading and setting up activities. I felt like I'd found the answer. I used the birthday money she'd been given by my grandparents to buy a little enclosed trampoline, a balancing toy, a sit and spin, along with some little sensory toys that amazon suggested the moment I began looking at sensory stuff. My parents sent her a sand box that we turned into a sensory box and for a while we saw some improvement in her behavior. I'd already noticed that her diet seemed to drastically effect her behavior and while I'd initially thought wheat was the problem, I thought I'd narrowed the problem to milk after a few months of trial and error. Still, I avoided buying wheat almost entirely and checked labels for it. At the time I did a few searches and found a Michigan.gov website that had a place to ask for testing for a child in the state. I filled it out, wrote that she was three and basically non-verbal and that we suspected SPD and sent it off. Four months passed as we waited to hear anything. The school's are busy, I told myself as I tried to come up with sensory activities on my own. Then came a day a couple of weeks ago when I stared at the kitchen cabinets, trying to come up with meal ideas. I had a huge bag of flour and after staring at it for two days I decided to make some bread. Shopping was still a few days off, and we had rice and beans and oranges, but bread just sounded so good. After all, I told myself, milk's the problem. Sure I feel better when I don't have wheat but it's not that huge of a difference. I baked a beautiful loaf of bread and my family devoured it. For the next two nights Mae woke up screaming in pain in the early morning hours. I still didn't make the connection though. Not really. I thought she'd picked up a bug somewhere. We'd been at the park a few days earlier and when I'd glanced around to make sure it looked safe I'd missed a capri sun hidden in a little toy car. Mae had found it and gulped it down as I'd sprinted to take it away from her. The sight of mud going up the straw was still clear in my mind. It was probably something from that, I fretted. On Wednesday, six day ago from the time I'm writing this, I took her to see the doctor. The doctor immediately thought celiacs and then proceeded to spend around forty five minutes with us, watching Maggie and interacting with her. I'd mentioned right away that we thought she had a sensory processing disorder, because we'd had to take her boots off to weigh her and that is a major trigger for a tantrum of monumental proportions. She wears her red boots day and night and hysterics are basically inevitable when they come off her feet at bath time. Surprisingly Maggie really took to this doctor (who offered to be her pediatrician and who I'm now asking for every time we call the office). 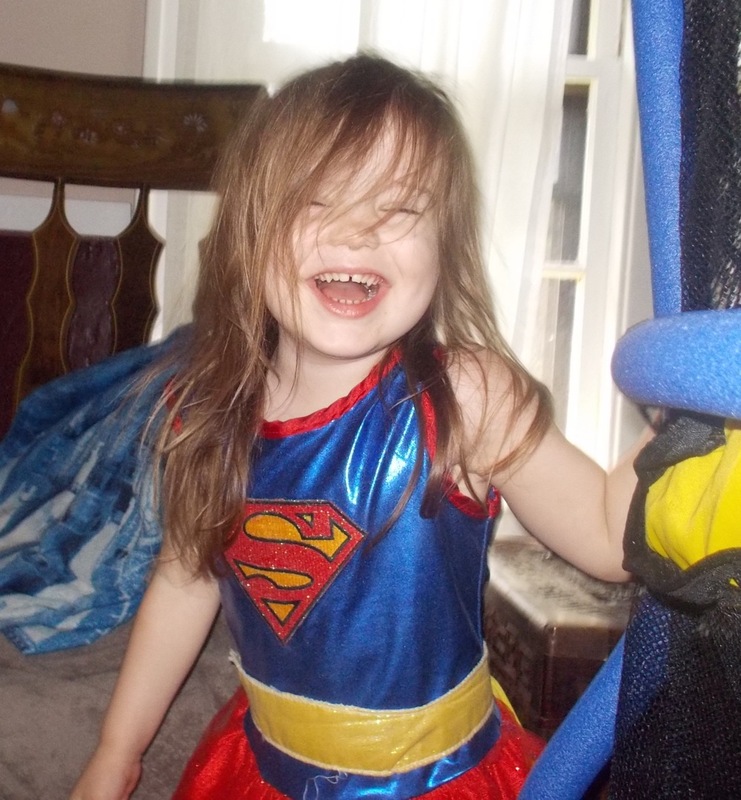 After a while the doctor left the room and returned and said that she'd made a call and would like Maggie to be seen for Autism Spectrum testing. I nodded and watched as the doctor watched me, waiting for some sort of reaction. When I didn't have a nervous breakdown then and there she continued. 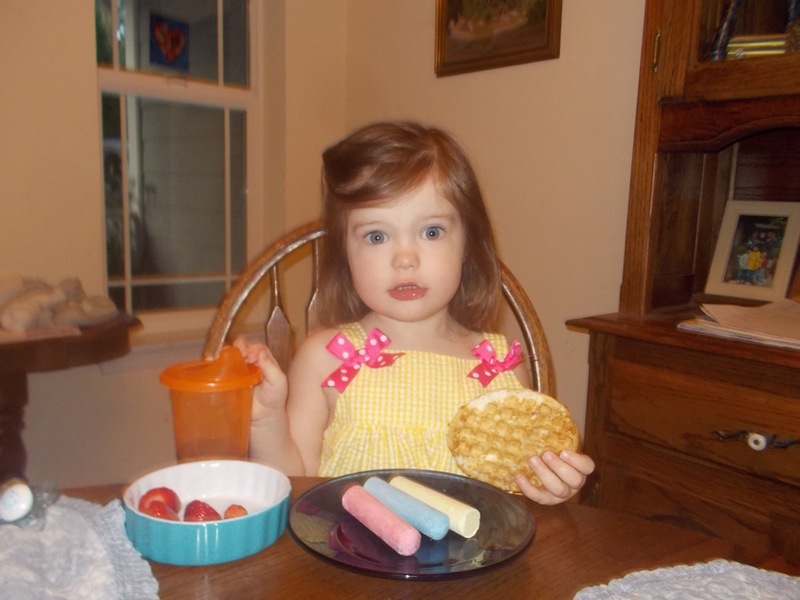 They do sensory testing there too... but I'm 100% certain that she is on the Autism Spectrum." I sat very still watching Maggie, still smiling politely. "I saw a test online, when I was looking at the SPD stuff and I took it," I found myself saying, "and it said that I needed to see a doctor for her, but I thought that it was just because there's so much overlap between SPD and Autism symptoms." "The MCHAT?" The doctor asked and I nodded. "We actually have that test here and I could give it t her, but after watching her I know what the results would be. So I'm going to refer you for more testing." I nodded again watching as Mae stomped around the room in her red boots. I felt oddly relieved. Answers. I was finally getting answers. In the days that followed that relief would ebb and flow. I'd gone straight to the library and checked out four books on autism. As I began to read I discovered that there had been a sterotype in my head of a severely autistic child that didn't make eye contact or laugh of smile, and that since Mae, with her laughter and jumping and climbing hadn't fit that stereotype, I had never really considered it. Yet as I began to read Dr. Sear's book on autism I found that many of the little personality quirks that she had were considered to be signs of autism. Things I'd never worried about, like sitting beside the TV when Dora was on and watching it sideways were on the list. Her new habit of teeth grinding, which had begun when we took away her binkies, was an indication (that was one way to get me to return the binkies... screaming I could have handled. Loud non-stop teeth grinding had me begging for her to take them back). Particular moments stood out as well. That day by the swings where she was slammed across the playground by the swinging child who hit her, when she flew through the air and hit the ground hard and didn't seem to feel it. All the skinned knees that never resulted in even a frown much less a tear. I sat and wrote out a list and it filled an entire page. The moment we had gotten home from the doctor's office I had called the mental health office and made an appointment. It was only five days away. I watched the calendar, impatient for more answers, wondering what they would say. The Monday of our testing arrived and Maggie and I got ready to go. She cried before we left because her coat didn't have a button at the very bottom, and she likes things to be completely buttoned from the very top seam to the very bottom seam. We got in the car and found the gigantic sprawling building and went inside and were directed to a waiting room down a long hall. Waiting rooms with Maggie are usually a nightmare. She wanted to run the halls and running the halls was far more interesting than the crayons and paper I'd brought just for her. I clung to her hand until it was our turn to go in. Maggie played while a counselor watched her and took down my answers to questions for two hours. At the end she came to the same conclusion as the doctor. Yes, she believed that Maggie was autistic and would be sending her on to the next test which would likely confirm it. They could fit us in on Tuesday. The waiting list for therapy was months long, but there was a new autism center being built and opened in November, so that would likely help if she did receive the diagnosis they are expecting. Thanking her I held Maggie's hand and we walked back to the car. In the hours that followed my thoughts were crowded and jumbled. I couldn't think of anything else. Most of the time I felt at peace but then I found myself sitting at my sewing machine about to burst into tears, not entirely sure what I was crying about because I wasn't even thinking of anything in particular. When I pinpoint the cause of the tears though I guess my number on fear for her is the unknown. How well will she be able to communicate with us? Will she be able to speak? And that's when I decided to take a brief blogging break, to work through all these thoughts. These past few days I've watched Maggie play through a new lens, having now read everything I can find about autism, I now notice a hundred things a day that were always just "quirks" that are now bright and blaring signs. And yet I find myself coming back to the same thought, over and over again. Maggie is an awesome little kid. She is a little exasperating spark that lights up my days. 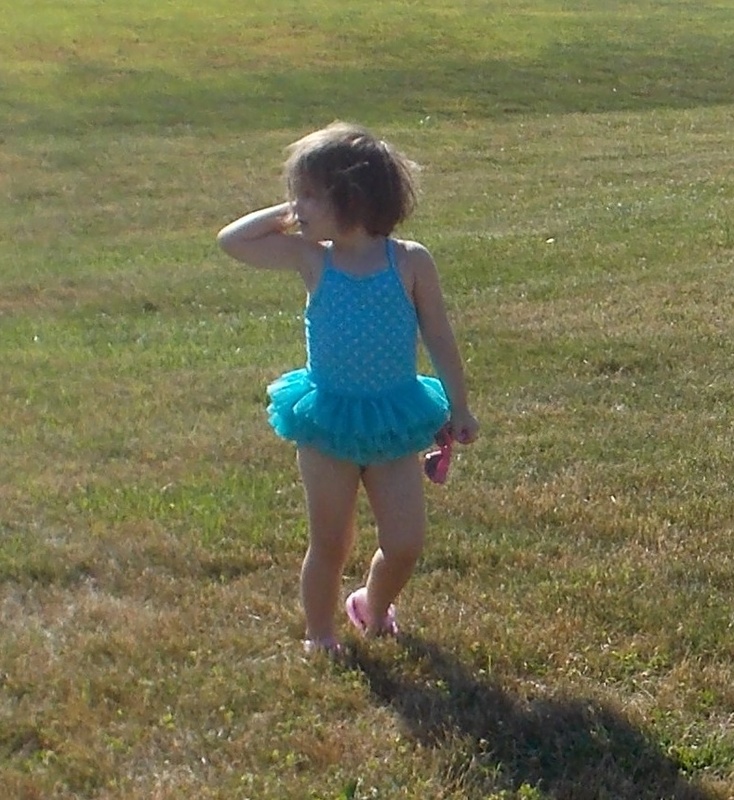 And a big part of her awesomeness, which I wouldn't change for all the world even if I could, are those little quirks. Her fearlessness and bravery, her intelligence, her daring and her sweet cuddliness, even the hard kisses she loves to give, are all places where I can see the symptoms that the doctor's talk about... but they're also a part of her Maggie-ness. She amazes me every single day. And while I would like to temper her recklessness because I'm afraid she's going to hurt herself or run into a busy street without giving it a second thought, I'm also at peace with the fact that whoever this little bundle of energy is and whatever challenges she's going to face, she's absolutely amazing and absolutely loved. So here we are, at the beginning of this new journey. I'm sure I'll be adding to this page in the coming weeks as we find out more and move forward helping Mae communicate with the world around her. God gives special children to special parents! Although Autisim is such a scary word to hear for a parent of an child on the spectrum, there is much hope as well. We know so much more about helping children learn how to communicate and flower into the unique and unrepeatable people they are meant to be than we did years ago. Thank you for sharing with us. Our prayers are with you! I'm currently going through something very similar with Vincent. For the last two years I've had people push me to get him tested for Autism due to the same things you mention are triggers for Mae. I just wanted you to know you're not alone! You're such a great mother and she's so lucky to have such a level-headed woman as her parent. You guys are entrenched in prayers. The greatest gift God ever gave me was my first child. My only daughter. My child with autism, sensory processing disorder and global developmental delays. While Shelby had no reaction or changes to gluten-free or any other elimination diet, she is profoundly non-verbal and looking back, I can go back to her birth and find indications that things were anything but "typical." Of course she was my first and I didn't know babies were supposed to look for your face or not lie on the ground mesmerized by a fan. Or that she was anything but an awesome breastfeeder (oral stimulation). But in the end, all that doesn't matter, she's getting therapy and she's growing up. 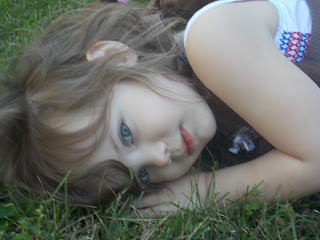 Mae is such a beautiful child and special girl like my Shelby is. 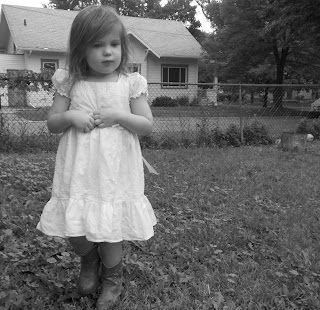 She wears her awesome super-hero boots and rocks to her own beat. And sometimes that's confusing to us, but I can tell you what another mother told me in one of my darkest times, Mae is perfect. She was created perfectly in God's image and part of that image is autism. It's new and it's scary to see that part of the image, but it is going to give you great insight into how to help her as she continues to grow in this world. And reading is great, but don't be surprised if you become confused by conflicting information. If you've met one child with autism, you've met one child with autism. There are so many differences and what works for one kid may not for another. Gluten-free works for Mae but did nothing for Shelby is one example. Mae is at a huge advantage, she has you and Paul. 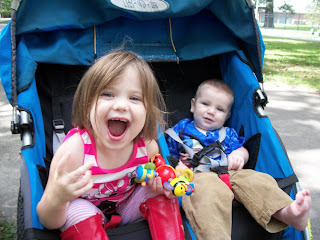 And of course Sadie (who will be an awesome advocate for her sister as she grows up) and Patrick. God Bless you all, if you ever have any questions, feel free to stop by and ask (or vent, those moments happen too). You have certainly had a lot on your plate! No wonder your mind was racing! An important thing to remember is that there is, indeed, a "spectrum" of disorders. I am acquainted with children with serious/severe autism and not once in all your descriptions of Maggie did the word "autism" enter my mind. Your journey with her will likely take a detour from the path that you thought it would take... but you - and Maggie - will get there. I am so sorry to hear that! She is going to be totally fine though! She hasn't changed since you found out. She is the same Mae as she always has been. Everything is going to be okay. There are tons of support groups and stuff like that to help you be the best mommy ever to her and I am 100% positive she will just thrive. If anyone can do this, it is you. You are an inspiration to me. I can't say that I know much of anything about autism. But I have read your blog since before Maggie was born, and from what you've shared, I have to agree that she is one amazing little girl. She's just so full of life!! Just remember, that God equips us to handle the tasks He gives us. If He gave you a daughter with Autism, then that means He knows the two of you will be the best possible parents to take care of His beloved child. You and Maggie are so blessed to have each other. Oh, and get ASPERGIRLS and ASPERKIDS and The Autistic Brain: Thinking Across the Spectrum by Temple Grandin and Richard Panek (Apr 30, 2013)-- that last is particular marvelous and by far her best book IMO. Oh, lets see. There are some great type to speech programs out there. She WILL very likely be very able to communicate. Not all stay non-verbal. Word cards, programs and apps, are all being developed to facilitate communication for the non-verbal but still intelligent ASD person. I PM'd you on facebook. feel free to email me. I've been on the road you are starting on for 3 years now. Please don't wait on therapies, try to see a occupational therapist ASAP, they can make a big difference. Also don't look into the future too much, try to work on the here and now. There are many things that may help that you can do yourself, picture cards, routines and a sensory diet (http://shopau.sensorytools.net/) - gen jereb are just a few. Please share your journey, even the bad times as there are many parents out there with experience that might help. With your recent Pinterest posts, and previous Mae Bae posts, I figured that her newly diagnosed autism was the reason you were taking a break, but I hoped and prayed I was wrong. You have a wonderfully delightful child and I hope that her diagnosis gives your entire family a sense of peace as you begin this journey into helping her be the absolute best she can be. Without this diagnosis she may have floundered into adulthood and you would have never known the reason why. I will continue praying for peace of mind and for knowledge in the days ahead. Wow, you have gone through a lot! I've been learning a lot about autism because I applied for a job working as an ABA therapist. Fortunately, if you notice it at an early age and receive proper treatment, there is about a 90% chance that Mae Bae will be able to function pretty normally. Basically, what comes naturally to most people simply has to be taught to children with autism. Kudos to you for doing the research and talking to a doctor about it. I'll keep this intention in my prayers. All of this reminds me of my niece (now 10) and my sister's journey with Autism. Now my sister also has a son (age 3) with Autism, too. My niece is one if the most interesting and living people I know. And we wouldn't change any of her "quirks" either. God bless you as you navigate these new waters in life. I was a bit shocked to read this. I admit I had forgotten Mae was mostly non-verbal (I thought you said she was talking after a diet change but maybe I'm confused?) but how often we have said how much Mae was like Teresa, I wasn't expecting this. On the one hand, I can see where it would be comforting to have an answer to questions like why she doesn't talk more and a plan to help her overcome something like that. At the same time, thinking of her like my Teresa, I hate the idea of people putting a label on her. All I could think was, "She isn't autistic. She is Mae who just needs a little help. Everyone needs help some time or other." Ironically, while I think it is great for people to understand what autism is and be understanding of those who are on the spectrum and their parents, I think it is the pushing of that word that makes me recoil at the label. No one sees a person who is diabetic and has much of a steryeotype in mind beyond the test strips and syringes but, as you yourself wrote, autism brings to mind something else entirely. Maybe the vastness of the spectrum makes it hard to create an awareness of something so varied. I can certainly understand why it has been such an emotional time for you. I wish you'd let us know what was going on… at the very least we could have been praying for all of you. I'll keep you in my prayers. Mae is still the same energetic, bouncy, trouble-making sweetheart she has always been and now she will just be able to get the little bit of help she needs to adjust a bit better to the crazy world we live in. I still prefer to not think of her as autistic but as Teresa's Michigan twin who might benefit from a little help finding her voice. ((HUG)) I'm glad you are getting some answers and some help. Prayers with you! For whatever reason the Lord has for choosing to bless Maggie with autism, He also chose to bless her with you and Paul and bless the rest of us with all of you. Oh my prayers for you! HB isnt autistic but he has trouble sitting still and is super picky eater. Eating thing comes from my family and sitting still is his dad. When his dad was little his teachers suggested medicating him. His mother ignored them. He has a phd. It never affected his ability to learn. Neither does it affect HBs ability to learn but I'm scared that traditional school will say its ADHD even though he learns what he wants just finr. I keep suggesting Montessouri program but Hubby is resisting. Knees fine. His phrase lately is stop it. Point is all kids struggle with something and God knows what he's doing. Maggie may be a great surgeon or mathematician. We need kids of every sort. But it does seem daunting. I will be praying for you and your sweet daughter! Just wanted you to know I enjoy reading your blog and hearing about your family. You, Mae, and your whole little family have my prayers as you find your way through this new journey. This paragraph made me cry, "Maggie is an awesome little kid. She is a little exasperating spark that lights up my days. 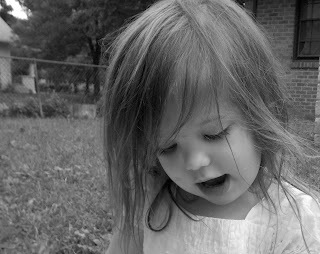 And a big part of her awesomeness, which I wouldn't change for all the world even if I could, are those little quirks. Her fearlessness and bravery, her intelligence, her daring and her sweet cuddliness, even the hard kisses she loves to give, are all places where I can see the symptoms that the doctor's talk about... but they're also a part of her Maggie-ness." I will be praying for your family. Just know that God will walk with you through whatever trials are to come and that he made Maggie just the way that she is meant to be. You are an amazing mom and I know that you will be able to nurture Maggie through whatever is to come. (hugs) scary time, not knowing what the future holds. But, in the end, we love our kiddos and that will never change, we simply continue on and do our best. My goodness, you have done so much to support your children!! I think you are amazing, and Mae couldn't be in better hands. My DD has plenty of "quirks".... not enough to get the diagnosis of autism or whatever, but enough that the doctor said she some "issues". I agree... labels aren't really helpful except that with the label you get much more help from the medical community. So, we just keep on "keeping on" because our children need us, and in the end - that gets us moms through some really hard times. By any chance, do you have those beloved red boots in a bigger size waiting around for her to grow? I've wondered how long she will be able to wear the current boots, as fast as young children grow. I'd send you a pair if I knew where to get them! Oh Cam! I have been reading your blog for a few years now, even though I don't comment often. I wondered about your blogging break after reading yesterdays post and now it makes so much sense! I remember years ago thinking my little Jonah was on the spectrum. He didn't end up being, but I'll never forget the fear I felt by thinking it was even a possibility! Autism is such a scary word to so many people! Hold you head up! Hang in there! Know that there are many people around the world who are praying for peace for you and Paul and praying for Mae. You will all get through this time and you will be stronger on the other side! Please keep us up to date when you can! I'd love to know how you all are doing! Prayers and Love from KY! I will be praying for all of you as you and Paul work to find out how best to help your lively Mae Bae. I remember when I was where you are right now. I remember what it felt like and all my fears. I pray that you can find rest and some peace. Like others have said, don't worry about the future right now, just take everything one day at a time. Last Friday, our social worker told me that she really liked my son's attitude because he was very matter-of-fact about who he was and why he was there, and that she felt it was very healthy for him. I responded that it was probably because I've never treated him like there was anything wrong with him. I've been honest with him about his diagnoses (which include both ASD and SPD, and many more) and have just told him that his brain works a little differently. If you continue to do that with Maggie (notice I wrote continue - you've never treated her like there's anything 'wrong' with her, because there isn't), she will grow up with a healthy attitude about it - and you will also maintain a healthy attitude about it. Praise God for the answers you're getting, even if they're not the ones you wanted to hear. Praise God for the gift that is Maggie. Praise God for the loving family that she has. God's glory will shine through this journey and He will shine through Maggie! Maggie and my Bobby sound so similar... except for dietary issues, they could be twins on the Spectrum (Bobby had no real changes when we removed milk or gluten or reintroduced them... only bananas showed any change at all). We found that ASL (American Sign Language) helped out tremendously as, kiddos like this tend to love to use all their senses. ASL combined with speaking allows Bobby to use his hands (or eyes when processing language), voice, and hands/body. It's been hugely helpful. We even attend the ASL Mass at our parish because it is such a huge deal in our lives. We are "friends" on FB too, so feel free to PM me or you can shoot me an email through my gmail. I promise, you will get through this. You all will. Mae is just as perfect as she was before the word "Autism" came into play. After reading your blog for quite some time now, I had thought of Mae as maybe being autistic.....I teach young children with autism. Getting a diagnosis may sound terrible, but you are such a strong woman of faith and are so equipped for this, that an early diagnosis is a gift. She is just as beautiful, smart, and amazing as she was before the label came into play...she is still your fabulous child. Push for every service you can get and fight for what you know is best for her. Strong moms really do make the best first teachers in a child's life! I'll be praying for you and hoping you find strength during this time of transition for your family. Hi, I commented on this in another post, but have more info. I'm the one who has a great autistic preteen as a neighbor. The first thing is to get the official diagnosis, because that will avail you of help from the school system. Sounds like you are working on this or have already gotten it. The school district has to provide special education for students 3 to 21, if they have autism diagnosis. I mentioned to her that I thought you might home school (I'm not sure if that was your plan?) and she said that in that case, you may still be eligible for extra stuff like speech therapy etc. But she is familiar with the rules of my state, not yours. My neighbor who has the son with autism says that he actually really likes public school here, and prefers to go there even during the summer. He's an only child and seems to like being around the other kids and having the routine. However, your experience could be different. I live in an Ivy league town, in a state that's known to have good autism programs. The parents here are often professors and very involved in making sure the school stays on its toes. It comes at a price; we pay really high property taxes to help fund the schools. Your public school may be different and of course that's completely your decision of how to deal with schooling your kids. Second, see if your state has the "Autism Insurance Act." Well, these are probably things you already know and are researching, but just thought I'd mention them. If I misunderstood anything my friend said, it's my fault not hers. Just before I read your blog I saw testimony on a Protestant TV show about the healing of two autistic brothers. I am a Catholic, but sometimes I watch these shows because I am interested in a teaching they have, or what they believe, and I recognize them as brothers in Christ. Anyway, shortly after I saw this show I came across your blog about Mae, and I thought of it as I read her story. Although I don't know what God has in store for your family and Mae, I do know He does not intend to leave you hopeless and helpless, so please watch this video, and hopefully it will help you feel a new sense of hope. God Bless. Bonnie. Have you ever thought of getting an assistance dog for Mae? Some, like http://4pawsforability.org/, are trained free, and they help your child with autism quite a bit. Your daughter's story is amazing, and it always inspires me!